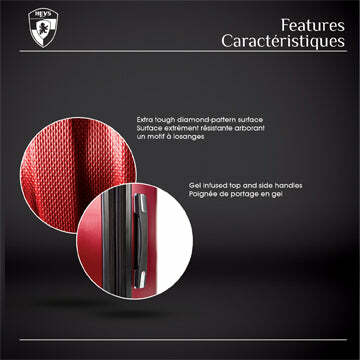 The SpinLock 26" is made from a durable and lightweight Polycarbonate composite. Polycarbonate is both durable and flexible so that when under stress, it flexes to absorb the impact and then afterwards flexes back to its original shape. 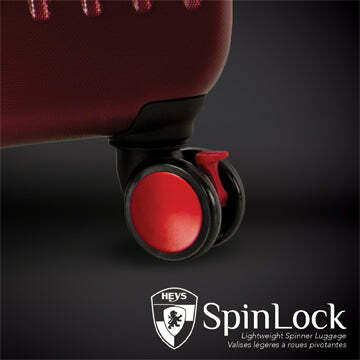 The SpinLock's simplistic yet modern design combines high performance with functionality. 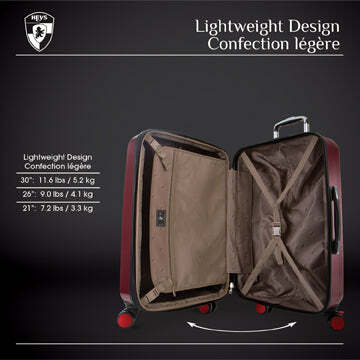 The combination of lockable-spinner wheels, a lightweight telescopic handle system, water-resistant zippers, and multi-riveted top and side handles comprises a very stylish yet durable luggage set. 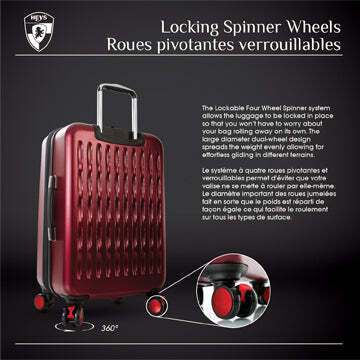 Its large lockable-spinner wheels gives you the option of ensuring that your suitcase does not move unless you do, as well as providing easy maneuverability allowing for effortless gliding in different terrains. It has a push-button telescopic handle system with multi-stage locking heights as well as top and side handles with TPR foam for better support. 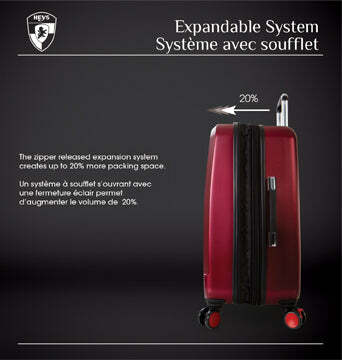 The SpinLock 26" comes with a zippered expansion system allowing for an extra 25% in packing capacity. The SpinLock 26" has a solid design that offers incredible strength, durability, flexibility and lightweight properties altogether.